Are you Believing in God, or do you Believe God? Do you believe in God, or do you believe God? And, yes, there is a difference. Many Christians I know, myself included, are really good at believing in God. We do the church-thing. We cling to our Bibles every Sunday. We sit in the pews, we stand, we sing, we tithe, we say, “Amen”. We drink ceremonious wine in little plastic cups. We wear the cross (and I love my crosses). We donated soup cans, coats, shoes, Christmas presents to those in need. We try to lead “good Christian” lives. And, we uttered the phrase, “God works in mysterious ways,” when speaking of things we can’t explain. But, is it enough just to believe in God? Is that enough for me? For you? Is that enough for Him? Although I feel I have faith, that is the name of this blog after all, I do not fully believe God. Why? Well, there are a number of reasons. Early church experiences gone wrong, prayers unanswered, heart-ache unburdened, bad things that cannot be explained away by, “everything happens for a reason”. Whatever. All I know is, I want more from my faith. And, which God do I want to believe? The god that has been watered-down to fit societies new ideals? The one that brushes sin under the rug because we don’t want to offend for calling out the sinner? Or do I want to believe the true God of the Bible? The Word, the light, the creator? The One that makes us uncomfortable because he tells we are sinners? And forgives us anyway. Do I believe He can do what He says He can do? Or, are the miracles only to be retold on Sunday morning? He says He answers prayers, but do I believe it? When was the last time I prayed and actually believed the prayer would be answered? No matter how ridiculous or impossible in my eyes. God doesn’t fit in a box. So, why does society try to make Him fit into an all-pleasing box wrapped up with a pretty bow? He is so much more than what I have experienced by attending Church, or reading the Bible. He wants a relationship with you and me. Yes, really. That’s it. Good works are great but He just wants us to know Him. My own faith-walk certainly hasn’t been a cake-walk. Yours probably hasn’t either. It hasn’t been without questioning, sometimes challenging me to look deeper, and higher. Recently, a friend and I signed up for a Bible study at church. 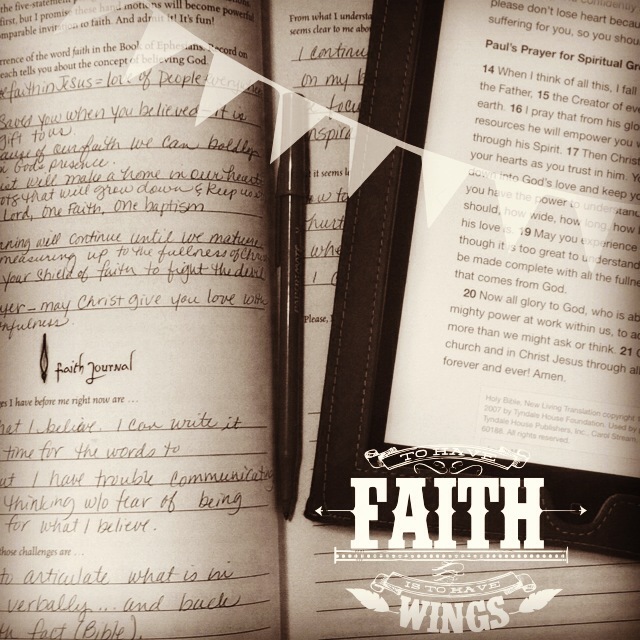 “Believing God, experiencing a fresh explosion of faith” by Beth Moore is a 10-week Bible study. Once a week, our tribe of women gather at the Church for faith sharing and a video presentation by Beth Moore. It’s a time for us to join in His presence, and to reflect on how He has moved us in our lives to be closer to Him. I don’t know where this study will take me in my faith-walk, but already it has challenged me in ways I hadn’t expected. At this moment I can’t fully put it into words. My question for today is: What was the last miracle you saw, or do you believe miracles are not seen today? Do you want to live more fully, and believe God instead of just in Him? Find out more about Beth Moore’s Bible study, Believing God, online here. 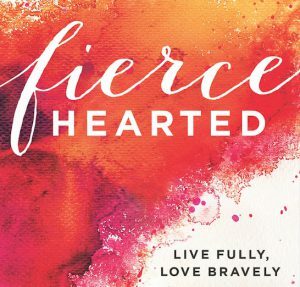 Also, Beth Moore’s book of the same title is available as a download (and paperback) at Amazon. *This is not a paid endorsement, just a personal story about my faith-walk. LINKING UP AT | RachelWojo and JenniferDukesLee. Go and read some inspiring women. I’m here from Jennifer Lee’s. I so agree with this. We have to agree with who the God of the Bible is as well as believe that He will do what He says He will do! Thanks Elizabeth, and it is so hard today because society wants to make everything pleasing to everyone…the face of God is changing to be PC. I was your neighbor at Jennifer’s this week 🙂 Great post. To answer your question, I’ve seen miracles in my own life and my family. Things I thought were not possible have happened, I believe God still works miracles, they don’t always look like we would expect but I think it’s a miracle still when the impossible happens. I agree. But I hear people say that miracles don’t happen anymore and I wonder if they are thinking of parting of the Red Sea kind of miracles and not seeing the everyday miracles right in front if us. Thanks for stopping by! Such great questions to probe for ourselves. Things I actually think about often in regards to my belief in God. I do believe miracles happen all around us but fail to recognize them as such because they are not as grandiose as the parting of the Red Sea. But they are miracles nonetheless. I think when it comes to our faith, it is important to question and keep growing in it. But also, look around. I believe in everyday miracles. God miraculously and supernaturally healed my wrist. I was in pain for months, and then woke up one day with no pain. God still does miracles today and thankfully I hear of many of them, how God heals people who are afflicted, etc. We must believe that God is who He said He is, and believe that He can and WILL do what He said He would do. Barbie, thank you so much for your testament. It’s true, I see miracles but I think people have been quick to say it’s “medicine” that healed them. But where do they think the idea for that medicine and research came from? I know humans don’t discover Medical advances alone. We have help. I appreciate the passion, sister. Well done! I get weary of the modern church that treats the majestic Creator and sustainer of life like HE’s some kind of Jennie in a bottle. How irreverent is that? My life is a miracle, spiritually, physically, and financially. The hot water isn’t over for me, but my perspective that once drowned in fear no longer does. I fear and or revere my Father and Maker. Thanks, Wanda for linking up! There needs to be a wake up in the church. It’s not about the big fancy church. It’s about God. Does the church even believe anymore? I know my life is a miracle and we are meant for more. I loved, LOVED that study! May you grow in faith & believe Him for more in your life. Blessings! I don’t think there was a better Bible study to be mt first! This is an awakening thought. I believe that we just have to get to know more of our God by his words and prayer and his deeds in every small and big details in our lives so that our faith will grow more. Takes time and dedication to fathom God’s greatness. I can relate to you coz many times my faith waver because of un- answered prayers. But I cling on and just continue the journey. Thanks be to God’s patience towards us. This Bible study was a huge awaking for me. I think I have settled for believing IN God, not believing HIM. Thanks for stopping by. Hopefully you have found something inspirational, or to think about I your walk in faith.